Skin rejuvenation event for wrinkles, dark spots and to tighten the skin. Space is limited. Please join Dr. Jeanne Scanland & staff for an evening of beauty. Learn about the latest techniques and procedures in cosmetic rejuvenation head-to-toe. We are excited to offer these current specials for the face/body/breast rejuvenation. Our number one priority at "The Center" is providing you the highest level of personalized care using the most up-to-date procedures and techniques. You can always count on total patient confidentiality in a very comfortable private setting. Patient education is an important part of making your surgical decision. Our patient educator will meet with you prior to your visit with Dr. Scanland. At your education session, we will provide detailed information for every procedure you are interested in. During your education appointment, you will view videos which discuss alternatives, risks and benefits. You will see before and after photos of previous patients and be given phone numbers of patients who will gladly discuss their experience with you. When your education session is complete, you will be scheduled with Dr. Scanland to discuss your personalized plan of treatment. Dr. Scanland’s practice is built on word of mouth from her extremely happy patients. Make sure you consult a real plastic surgeon, that is board certified by the American Board of Plastic Surgeons if you are considering plastic surgery of the face , breast or body. Find Dr. Scanland on RealSelf.com. Contact us today to schedule an appointment at 423.698.5787 or email us at info@drscanland.com. Dr. Scanland was the first female to complete the 6 year General Surgery Residency at UT College of Medicine at Chattanooga, TN. 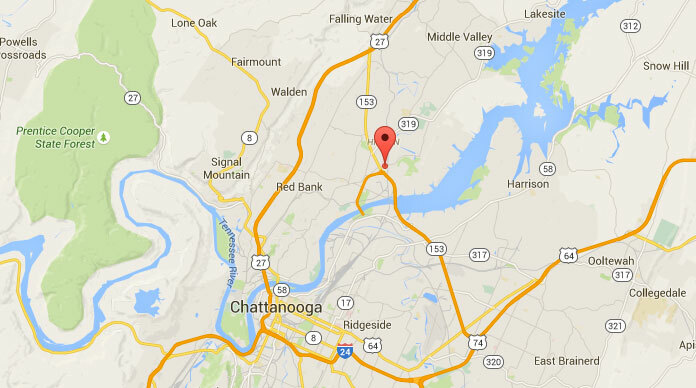 Dr. Jeanne Scanland is the only Female Plastic Surgeon in Chattanooga, TN. She is also the only Plastic Surgeon in Chattanooga who did a Fellowship in cosmetic surgery of the face, breast and body, as well as a Fellowship in breast reconstruction. Her practice is dedicated to cosmetic surgery of the face, breast and body. "Dr. Scanland has enabled me to take years off my looks through a combination of medical grade skincare products and minor surgery."